Meiling arrives home fairly late this coming Sunday evening, and believe it or not, she asked me if I would cook for her as soon as we got back to the house! I told her there’d be some things she likes on hand for her to eat, but that I’ll start cooking for her in earnest on Monday. The first order of business for Meiling when she arrives on Kaua’i is always a trip up to Duane’s Ono Char Burger where I’m pretty sure she’ll orders her usual two burgers. 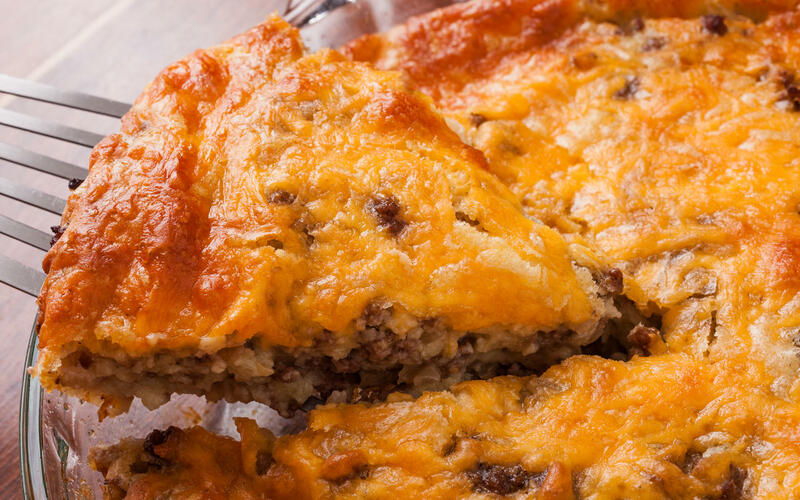 I’m making Cheeseburger Pie for dinner on Monday night, one of her favorites, but I don’t think she’s going to complain about having cheeseburgers twice in one day. Brett and I are doing the second half of our monthly Costco shop today to get ready for the happy occasion of having all the girls at home. We’ll be picking up one of their giant pizzas for our dinner tonight as we’ve all been craving pizza, and the leftovers will be available for lunches for the rest of the week. Otherwise we’ll be finishing up things we still have on hand, even after the big defrost, and saving our Costco purchases for the weeks ahead. Tomorrow or Thursday we’ll go back for a few more things at Big Save and other than our weekly trips to the farmers’ market that will finish our food shopping for the month. Monday: Cheeseburger pie; onion rings; lettuce & tomato salad (the linked recipe is pretty close to the one we use, but we skip the eggs, and substitute 1/3 cup dill pickle juice for part of the milk, and add a 1/2 cup chopped dill pickle to the filling. We also bake our pie in a crust.). We’ll need to pick up tomatoes, cucumbers, zucchini and (hopefully) some broccoli at the farmers’ market this week, as well as more bananas, but otherwise we have everything we need on hand. And, hopefully it will be warm enough on Saturday to appreciate the cool, refreshing hiyashi chuka! It’s one of YaYu’s favorite dishes. The recipe I use came from a children’s cookbook – the girls have been helping me make it since they were little. If you’d like, I can email you that recipe and your sons can help you make it! It’s really good – when all of us were together we never had any leftovers! Wonderful that you get the girls in a staggered way. You can center on the one who just walked in the house. Cheeseburgers—my grandson’s favorite. I need to try the pie. When all three are together, WenYu sometimes ends up in a tug-of-war between Meiling and YaYu. While I’m excited about us all being together, we should be able to avoid the hurt feelings that sometimes occur. And yes, I can focus more on the one who’s home at the time. I’m going to post my pie recipe below. It’s close to the one above, and easy for kids to help make. Bake pie crust according to directions, then leave oven preheated to 425 degrees. Brown ground beef in a large skillet; drain off fat. Add chopped onion and garlic to ground beef and cook until onions are tender. Sprinkle salt and flour over ground beef mixture and stir. Add milk, dill pickles, pickle liquid and 1 cup of the grated cheese. Mix together well and then spoon into the prepared pie crust and bake for 15 minutes. Carefully take pie from the oven and place the remaining 1 cup of grated cheese on the top of the meat. Return pie to the oven for about 5 minutes more, or until the crust is lightly browned and cheese on top is melted. Cut into wedges to serve.